What is the color eggplant and what matching colors you can wear with it? This is a bright and cheerful fruity shade, perfect for any summer go-outs. Lime green color is an active and vibrant shade of green and yellow. It can be catchy, almost neon, or more relaxed, as the color of the fruit, whose name was appropriated. Lime green matches good with black and white color combos, but there is one important point: the black in your image in any case should not be much. Black handbag or shoes, but not both together or the striped sweater successfully beat bright and fresh color of lime. If the black will be greater, the image would be weird and overweight. 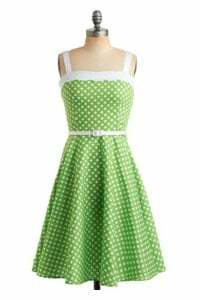 Fresh and glam rock look — neon lime green gauze dress with combat boots. Lime looks great summer look with complementary beige and brown colors. Fits almost any shades of beige, from light cream to straw and color of coffee with milk. Brown palette best choice would be the color of milk chocolate. Warm and soft, it is the perfect complement to the image. Bright lime green is well with denim. It can be any things denim: jeans directly, skirt, shorts. Dark blue denim perfectly neutral color shades bright lime. 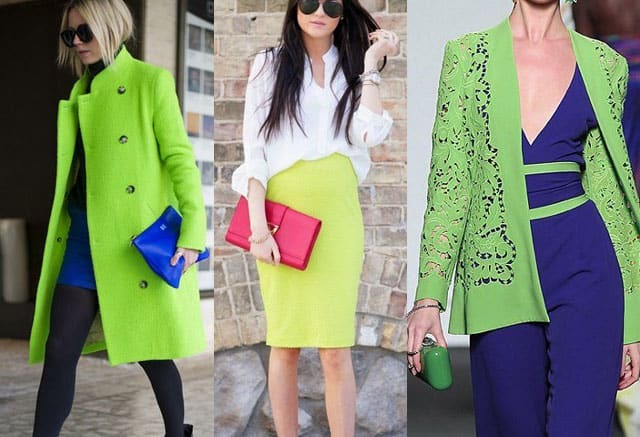 Immediately it should be noted that lime green as a warm and active color is involved primarily in the images of spring and summer wardrobe, does not fit with any dark tones. For it is necessary to choose the light and medium.